Paver Pedestal System can be applied to many parts of residential and commercial buildings. Generally, this system is applicable where pavers are used above waterproofed deck spaces like swimming pool surrounds, pool decks, roof decks, roof promenades, plazas, terraces, arenas, etc. 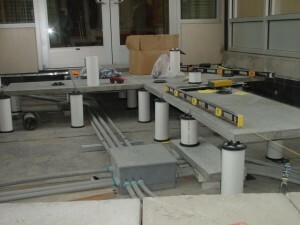 Paver Pedestal System application is also perfect for protected membrane deck and single-ply membrane applications. This system also supports mechanical access walks, sleepers or pedestals for catwalks, roof-mounted piping and balcony deck structures. Wherever pavers occur over waterproofed deck areas such as roof decks, pool decks, plazas, arenas, terraces, roof promenades, and swimming pool surrounds. Ideal for single-ply membrane applications & protected membrane deck applications. With Paver Pedestal System, these areas can be maximized and beautified. 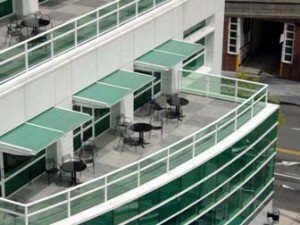 Therefore, the building would be more stunning and the ambiance would be more inviting to customers. Aside from offering dynamic solutions to climatic and architectural requirements, this system offers beautification and functionality of commercial buildings’ unused areas. The interesting colors, shapes, and designs of concrete pavers would surely add up to a house’s beauty. Paver Pedestal System can make a house more attractive and can help in maximizing spaces which are nonfunctional. 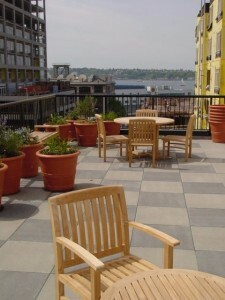 Roof gardens often require the installation of paver stone walkways, decks and promenades to provide maintenance access and functional areas for people. 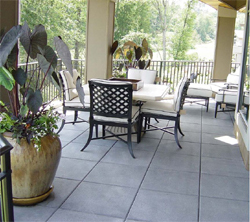 Tile Tech Paver Paver Pedestal System application helps create secure, finished walkways and other accessible areas while maintaining the integrity of the roof components. This system is an excellent solution for creating roof gardens and green roofs. Paver Pedestal System application in either a green roof concept or a roof garden would surely transform a bare rooftop into an attractive and useful area. Tile Tech Pedestal Paver System application can also provide mechanical access walkways and sleepers or support pedestals for catwalks. Thus, severe roof membrane and insulation damages caused by disorganized roof top traffic of mechanical scheme maintenance workers are eliminated. 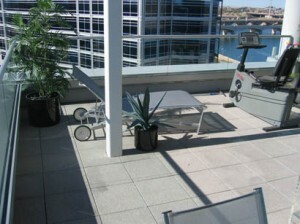 Paver Pedestal System is applicable to many areas in both residential and commercial buildings. It provides considerable advantages such as beautification, functionality, and lower maintenance and energy costs among others. It is a great paving system that makes nonfunctional areas classy and useful.